Home » Website Building » Weebly » How to Use Font Awesome Icons in Weebly? How to Use Font Awesome Icons in Weebly? Font awesome icons are scalable vector icons originally developed to use with Bootstrap framework and later made available for others. As the name indicates Font Awesome icons are simply awesome to use anywhere on your site for multiple purposes. The icons are scalable meaning the same icon can be scaled to different sizes without losing the quality of the display. 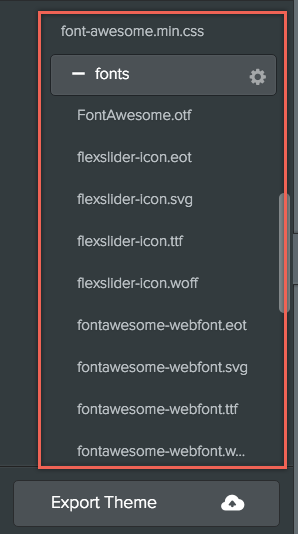 At this moment Weebly does offer any default option to add icon fonts to your site elements. In this article we will discuss why and how to use font awesome icons in Weebly site. Why Should You Consider Using Font Icons? Icons are free to use for personal and commercial uses. The look of the icon can be completely customized with CSS. Different sizes of icons can be used with perfect resolution. Highly attractive on devices with retina display. You may be seeing the use of font icons on other platforms like WordPress and wonder how this can be done on Weebly site. This is the simplest, reliable and easy way to use font awesome icons on your site without any problems. You need to just link the following stylesheet under header section of your page or site. We recommend linking the stylesheet in header section of any of your page under “Pages” tab before deploying it on the live site. Possibly you can create a test page hidden from search engines or create a test site and link the stylesheet in header section under “Settings” tab. Font awesome icons will work on a free Weebly site and there is no need of premium plans for this purpose. Link the CSS file to the header section of the required page or at site level. You can use either .css file or .min.css file. The minified version is recommended in live site since it improves the site loading time. Once you decided whether to upload the stylesheets and fonts or use the CDN CSS then the next step is to use it on your page using “Embed Code” element. <i class="fa fa-phone-square"></i> This is a font awesome phone icon. <i>…</i> – each icon should be used within the <i> tag. fa – font awesome CSS class prefix. fa-phone-square – actual icon name. This is a font awesome phone icon. You can refer the examples to check how easy to add many features on your site with font icons. Also refer the cheat sheet to quickly get the icon names. You can also use the Unicode instead of icon name. For instance, in the above example of list icon instead of using the icon name fa-check-square you can use its equivalent Unicode value &#xf14a;.